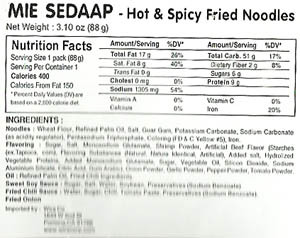 More Indonesian noodles! 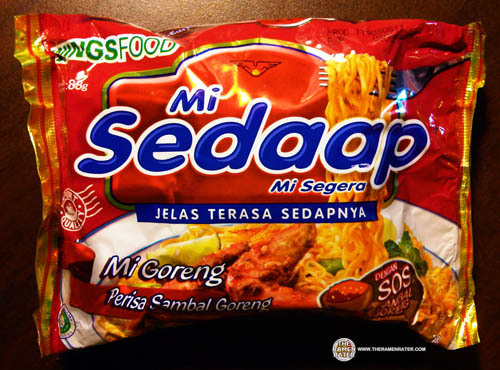 This one’s a spicy pack of mi goreng – fried noodles! 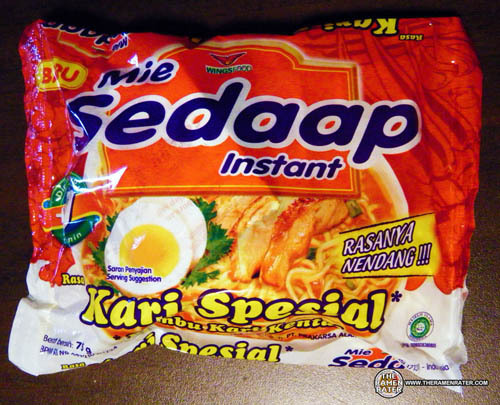 This entry was posted in * Stars 4.1 - 5.0, Indonesia, Mi Sedaap, Other and tagged 8 998866 200448, 8998866200448, 98026, asian instant noodle soup, chinese, dengan, edmonds, eggs, food, fried noodle, garlic, goreng, habanero, hans lienesch, hot, hot sauce, indenesia, indo, indonesian, instant noodles, instant ramen noodles, jane's, japanese, jelas, krazy, lienesch, melinda's, mi, mie, mixed, northwest, perisa, Ramen, ramen blog, ramen blogger, ramen rater, ramen review, ramen reviewer, ramen reviewers, ramen reviews, ramen video, ramenrater, ramenrater.com, ramenreview, rater, rating, ratings, review, reviews, sambal, seattle, sedaap, sedapnya, segera, sos, spicy, terasa, thai, the ramen rater, theramenrater, theramenrater.com, up, washington, west coast, wheat noodle, wings, wingsfood on March 19, 2012 by Hans "The Ramen Rater" Lienesch. This entry was posted in * Stars 4.1 - 5.0, Indonesia, Mi Sedaap, Other and tagged baru, bumbnu, bumbu kari kental, curry, edmonds, egg, eggs, excellent, food, fried, hans lienesch, indonesia, indonesian, Instant, kari, kari spesial, kental, liebesch, lienesch, mie, mie sedaap, northwest, Ramen, ramen blog, ramen blogger, ramen rater, ramen review, ramen reviewer, ramen reviewers, ramen reviews, ramen video, ramenrater, ramenrater.com, ramenreview, rater, rating, ratings, review, reviews, seattle, sedaap, spesial, the, the ramen rater, washington, west coast, wings, wings food, wingsfood, wingsm on June 22, 2011 by Hans "The Ramen Rater" Lienesch.